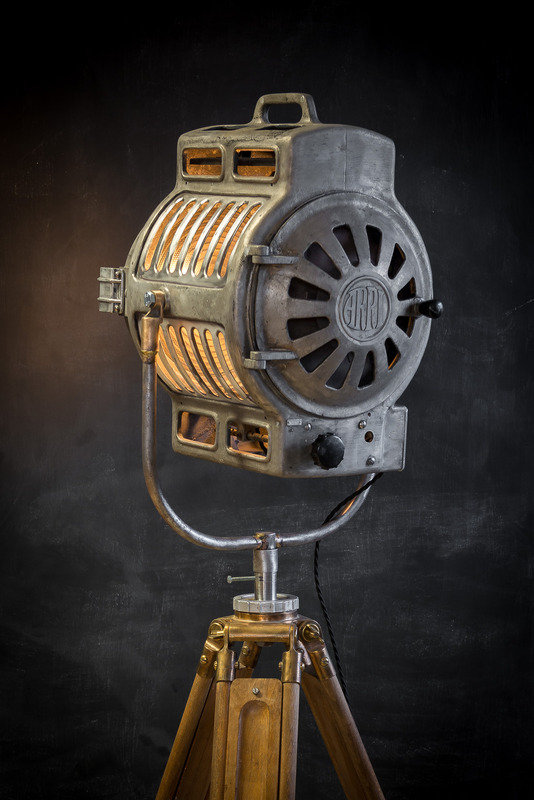 This original ARRI Theatre Lamp circa 1940s is made from cast aluminium. 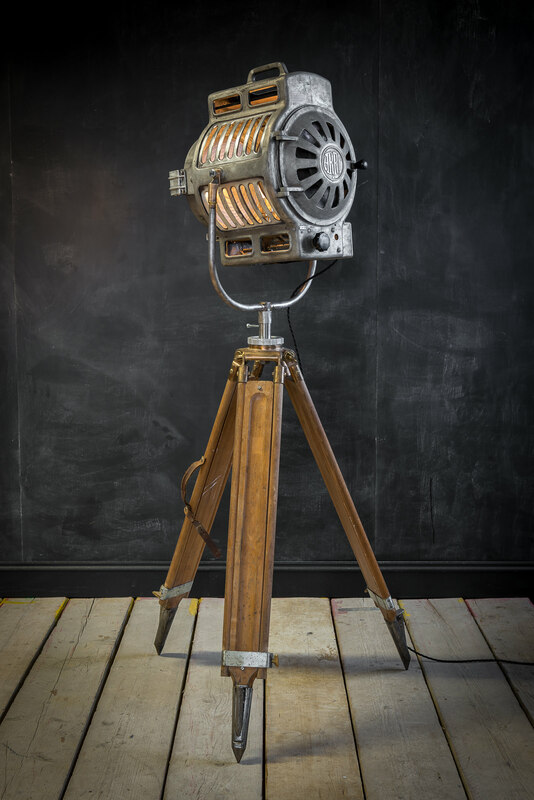 It has been mounted on a period tripod made of oak with bronze details. 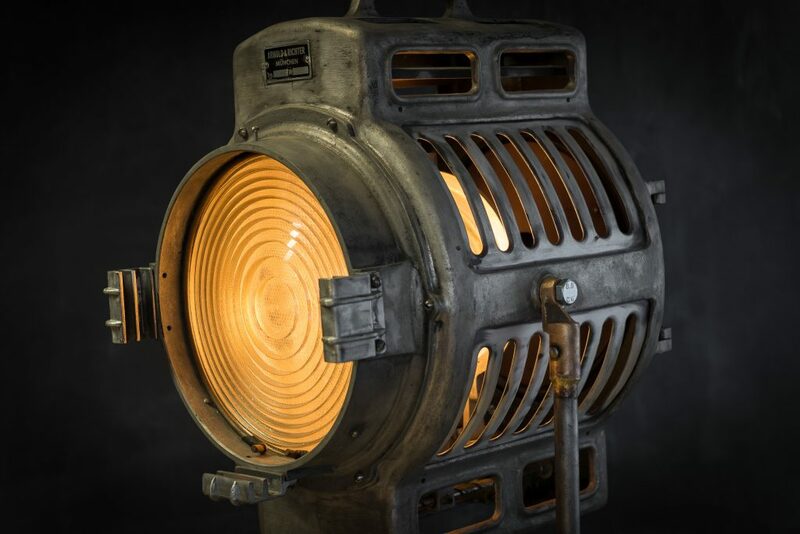 It retains its original branding with a plaque stating the manufacturer and type and also features the classic ARRI logo on the back of the lamp head. We have restored this piece by hand, stripping the paint and giving it a matt brushed finish to accentuate the patina and create a rich, antique aesthetic. 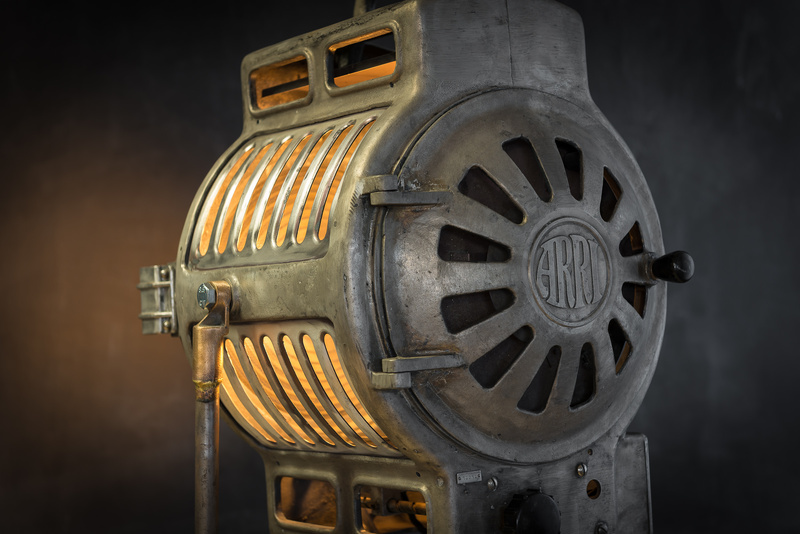 Founded in Munich in 1917 and still running 100 years on, ARRI specialises in film equipment. 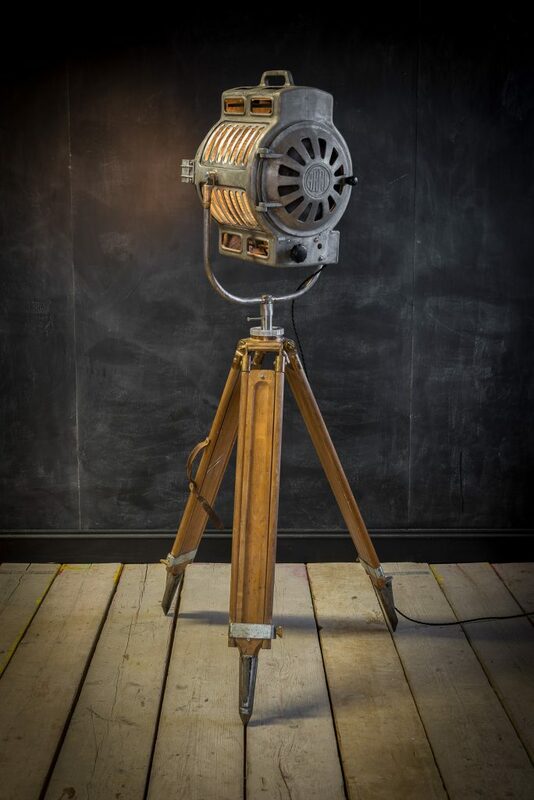 They first created a film printer before developing their own cameras and lighting designs over the following years. 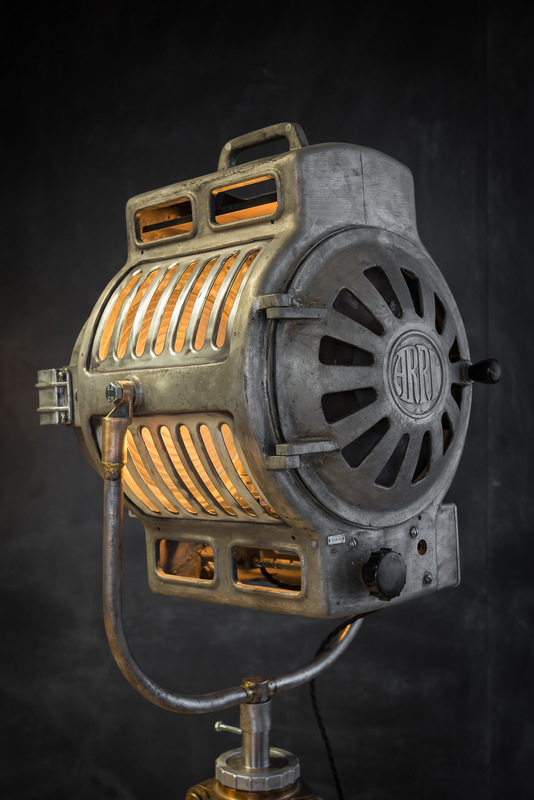 The company has a long history of lamp heads specifically designed for the special requirements of stage lighting. 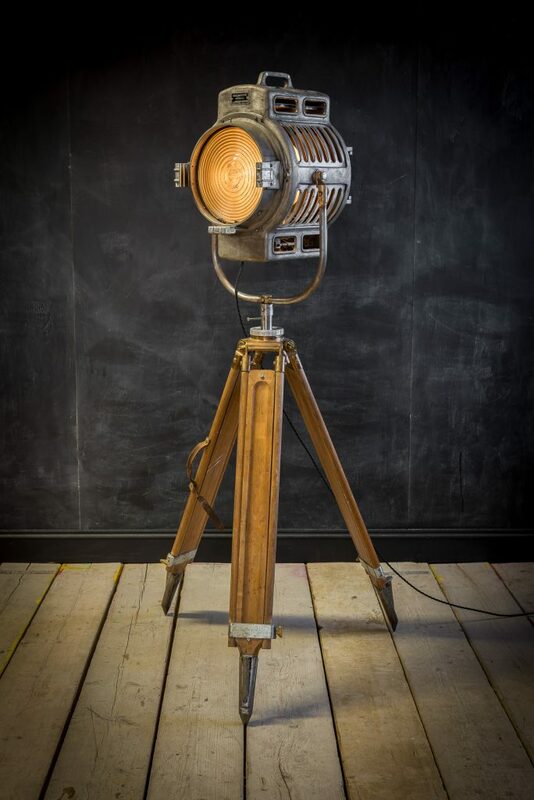 This model has a 25cm fresnel lens, used to increase the focus and projection of light. 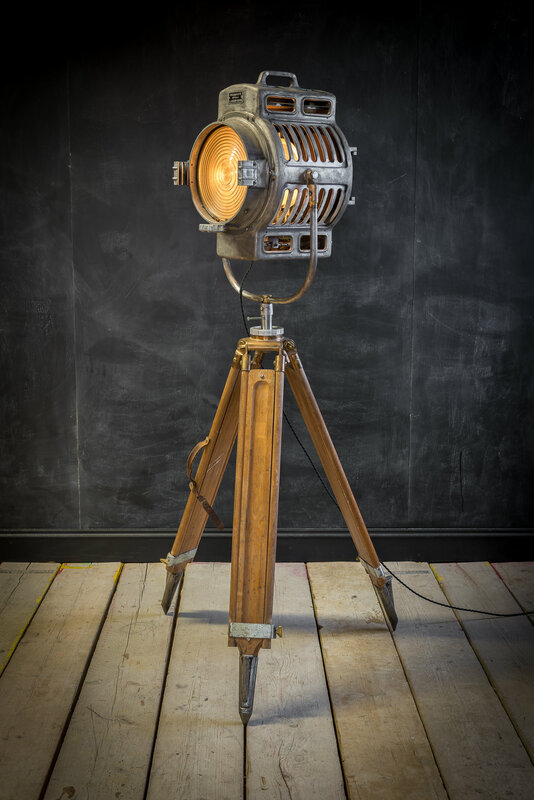 Designed for use in theatre and film, this light used high powered bulbs, creating a vast amount of heat. The vents on the chassis are symptomatic of this and were used to aid heat dissipation, keeping the unit cool. We love how function dictates form, as the cutouts give the lamp a sculptural quality, adding to the industrial aesthetic. 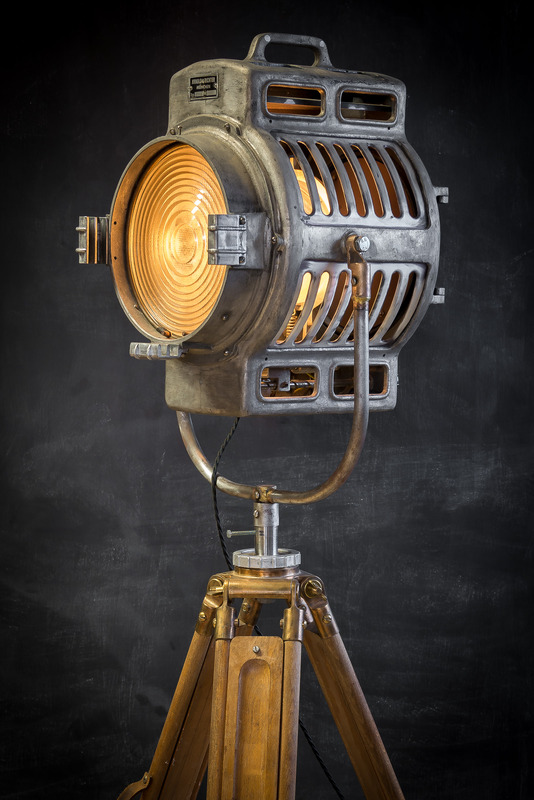 Rewired for contemporary use, this theatre lamp is a beautiful piece of industrial history that would add character to any interior. If you are interested in purchasing this piece, please contact us.